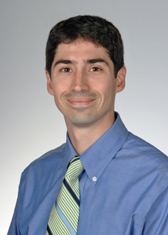 Dr. Hardie joined MUSC in July 2008 from New York University where he completed post-doctoral studies in cardiovascular and body MRI. Dr. Hardie completed a diagnostic radiology residency at the University of Virginia Health System in Charlottesville and a preliminary medicine internship at MUSC. He received his M.D. from the University of Cincinnati School of Medicine.